If you are an expectant parent wondering if you should hire a doula, then this article is for you. Word broke a few months back that Meghan Markle may use a doula for the upcoming royal birth. This report led many to wonder what a doula even is and if maybe they should use one as well. Aliza Bancoff, founder and director of the International Doula Institute, says a doula is a, “professional support person trained in the needs of the family during pregnancy and childbirth. Hiring a professional doula is a newer concept to many and yet, the use of continuous labor support is not new at all. In fact, in past generations, many women have given birth surrounded by other women with the knowledge and skills to support them through their experience. Back in time, when birth took place in small villages, in the home and surrounded by grandparents, aunts and other family members, many possessed the skills to provide continuous, caring support to laboring women. Fast forward to current time and many of us have very little to no experience with birth before going into labor for the first time. Many couples may have a mere few hours of childbirth preparation classes, but often do not truly understand how to best cope during labor and make clear and useful decisions, especially about when intervention is necessary. Doctors, nurses and midwives provide excellent medical support and our partners know us well and play a major role in supporting women through labor. However, a doula can provide professional, continuous labor support to both the person in labor as well as their partner. Through the process of working with a doula, Ms. Markle can feel confident that she has someone present with the sole purpose of providing her with ongoing emotional, physical and practical support. Midwives, doctors and nurses provide exceptional physical support, however their primary role is to ensure a medically safe birth for both the mother and baby. This leaves less time for continuous support as they manage their clinical role. Birth is a very natural process, and yet it is a process that is also unpredictable in nature, especially in a time that offers a vast array of medical interventions at our fingertips. A doula can never guarantee an outcome in the birthing process, and yet, evidence shows that having a doula present and offering continuous labor support during birth has many benefits. The World Health Organization (WHO) recognizes the importance of maternal child research and recently shared about a Cochrane Review comprised of 26 randomized controls including more than 15,800 women. While more research is needed, given the lack of risk associated with continuous support, and the many potential benefits, it makes a lot of sense for Duchess Meghan to consider using a birth doula. The ACOG works to compile research, look at the evidence and then make recommendations for the OB/GYN providers across the US. The recommendations they provide are intended to increase positive long-term birth outcomes for mothers and babies while reducing adverse birth outcomes. Reducing unnecessary medical interventions are an important topic for ACOG since this improves outcomes over time. (This is not to be confused with interventions that are medically necessary). With the high rate of c-sections in our country, reducing the primary c-section rate is now a public health concern. There are times that c-sections are truly medically necessary, and yet, our current c-section rate in the US is nearly 50% higher than the WHO recommends. For this very reason, new research is required and official recommendations are released to help reduce the rate of c-sections. While there are several guidelines and evidence, ACOG included continuous labor support as one positive and effective method to reducing c-section rates. Both the WHO and ACOG recognize that continuous labor support, such as that of a professional doula, is an evidenced-based method for reducing the likelihood of birth interventions and increasing the likelihood of positive outcomes. If you want to experience birth like the Duchess of Sussex, choosing a midwifery attended birth and perhaps a birth doula might be a good option for you. Celebrities tend to have more access to top services across brands and topics and yet, with all the resources they have access to, one valuable service they often choose - hiring a doula - is available to everyone.Everyone can choose to acquire a professional that offers continuous labor support to improve the birth experience and health outcomes. The list of celebrities that have used birth doulas is actually quite diverse. It crosses cultural, economic and religious barriers. The list above includes people who are famous for various reasons and are known for vastly different lifestyles. A birth doula isn’t just for one type of person, or even one type of birth. The celebrities listed above could have made any birth preparation and yet they still chose to include a birth doula in the process. Birth is a singularly unique experience. 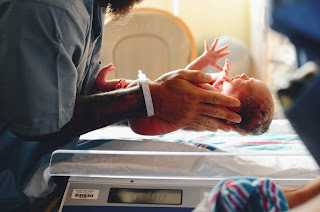 While a doula is not a medically necessary part of a birth journey, evidence, respected health organizations and of course, the Duchess of Sussex, Meghan Markle as well as many other celebrities agree that using a birth doula does make a whole lot of sense.